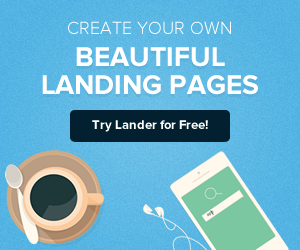 A landing page is designed to get visitors to fill out a helpful form you provide. 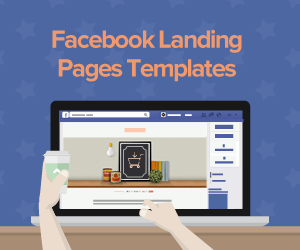 Since the page's function is the completion of that questionnaire, it is simple to get potential customers to finish the form once they've landed at your website. 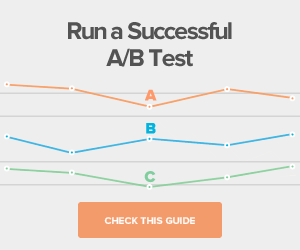 But how do you attract these prospective clients to your landing page? That question is often harder to answer. 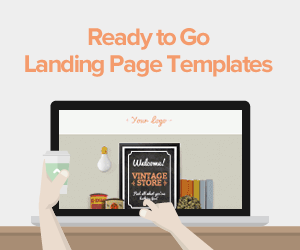 There are several strategies your company can use to drive traffic to your landing page. Consumers saw over 5.3 trillion display advertisements in 2012 alone, according to ComScore. This kind of marketing is a tease for potential customers and with a simple click, gets them right to your landing page. A concise call to action on a banner ad, like "Click here to learn more," will send interested consumers to your Landing Page. This kind of advertising is targeted to likely customers so the rate of conversion may be higher as well. Overall, banner ads are a smart, straightforward way to direct people to your company's landing page. Referral programs are a resourceful way to increase traffic to your landing page. In fact, Nielsen reported 84 percent of people trusted recommendations from people they knew in 2013. Current clients who are happy are a great source for new business. Incentivize customers with an offer if they share your company's landing page with friends or family. This tactic is in direct correlation to your quality of service and won't be effective unless you show a client how much you care about a customer's business and satisfaction. Referrals are an inexpensive way to attract more people to your landing page and to the services you offer. An organic Google search that yields one of your blog posts can quickly direct traffic to your landing page, especially if you've included a specific CTA to do so. The original content on your blog will have consumers wanting to know more about you, and then the CTA points potential customers toward the helpful information and resources your company provides on your landing page, according to ManoByte. In addition, the unique content builds confidence in a business's voice. While the articles may draw the potential clients in, the CTA is what directs them to your landing page and then to conversion. Advertising is no longer limited to email marketing campaigns, so put your company's strategy to good use by spreading your services to a platform that, according to eMarketer, will reach about 2.6 billion people by 2017: social media. Not only will this form of marketing keep your company's cost down, it's a way to increase leads to your landing page. This tool allows you to drive more potential customers to your website and even to specifically targeted landing pages. In addition, a useful offer could result in the sharing of your company's landing page, leading more possible customers to your site. Industry forums are a great way to gain a reputation for being a knowledgeable leader in a particular field. The key is not to use the Internet conversations strictly for advertising. Give your audience the advice they're looking for, then direct them to your landing page for more information if they need it. By providing people with helpful tips and tricks, without turning to spam, prospective clients will value and trust your company, leading them to seek out additional information from you as a credible source. Driving traffic to your company's landing page takes inventive strategies and dedication. Thinking outside of the box only helps bring more potential customers to your website, looking for helpful information. With an attractive landing page design, clever and useful content and an innovative social media strategy, companies can motivate more people to view what they have to offer.